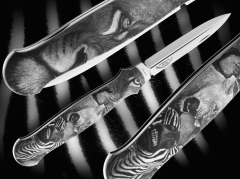 An incredible collaboration between 2 Masters! Tom Overeynder made an incredible dagger that measures a whopping 10" open. Tom is one of the best makers around today, his fit and finish is as good as any in the World. 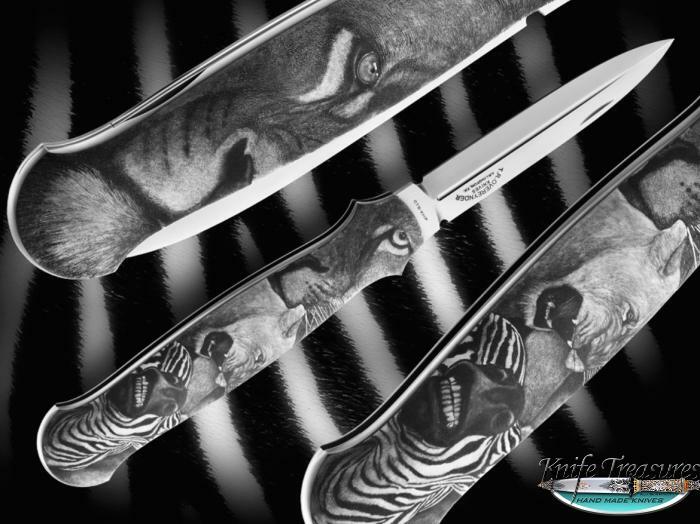 Richard Maier then went to work on this piece and did an Incredible job engraving a lioness hunting a zebra. The result is amazing and needs to be seen in person to be appreciated. Two great artists at their best!